Emrah Karaca (born July 15, 1976 in Istanbul) is a Turkish rock musician. The solitary of the Mongols. He is the son of Cem Karaca, a prominent Turkish rock musician and one of the most important figures in the Anatolian rock movement. He started working on professional music while studying International Relations at Yakın Doğu Üniversitesi. Two years later, at the request of his father he left his studies and returned to Istanbul. The compositions they performed at that time were included in the last album, “Bindik Alamete …” published while Cem Karaca was alive. 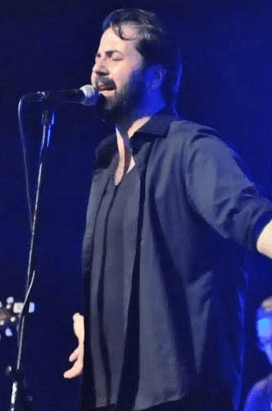 He has been working with the Moğollar group since 2008 and currently their lead singer.